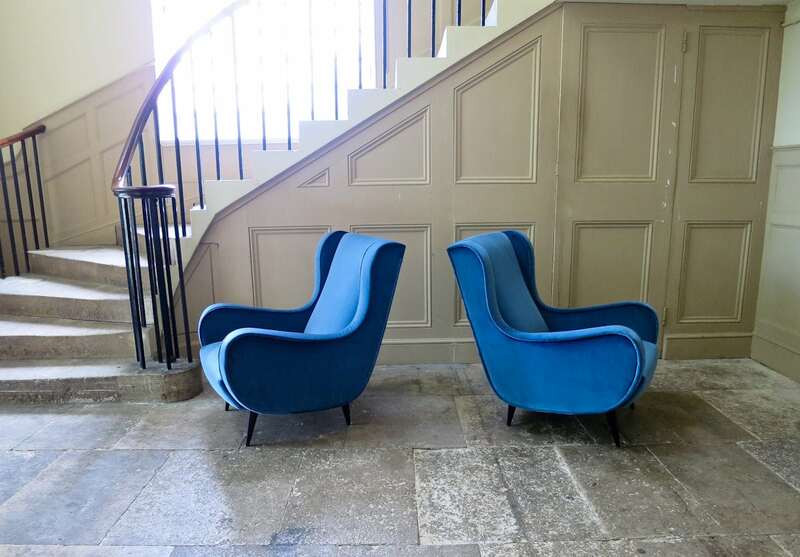 A charming pair of Italian armchairs in the style of Marco Zanuso from the 1950’s. 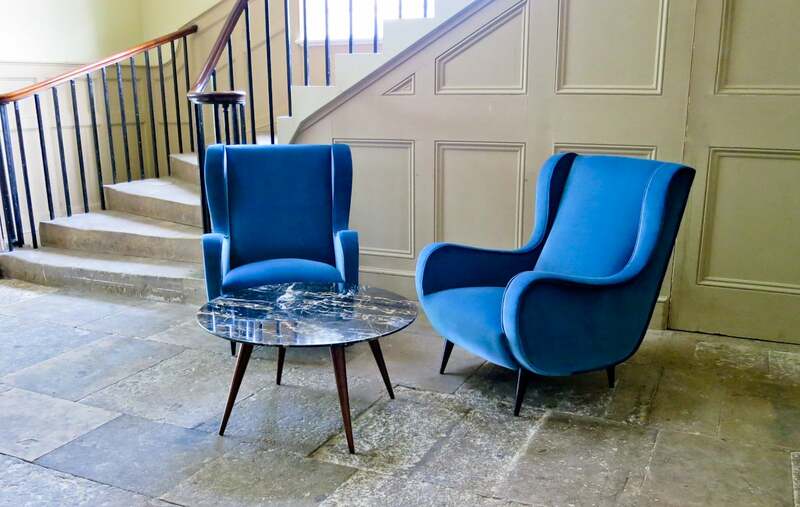 Of small proportions this rare and unusual design displays beautiful curves, which are so effortless and elegant. 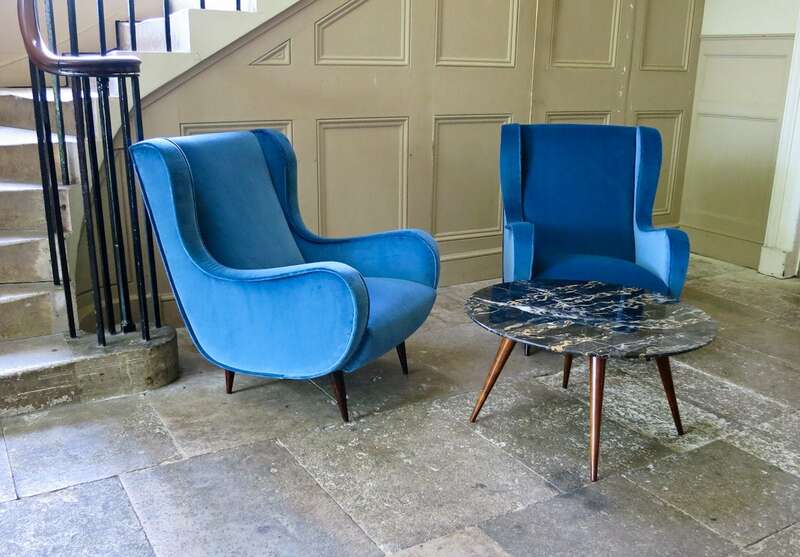 Reupholstered in luxurious blue velvet on tapered dark wood legs these vintage armchairs are in an excellent original condition. 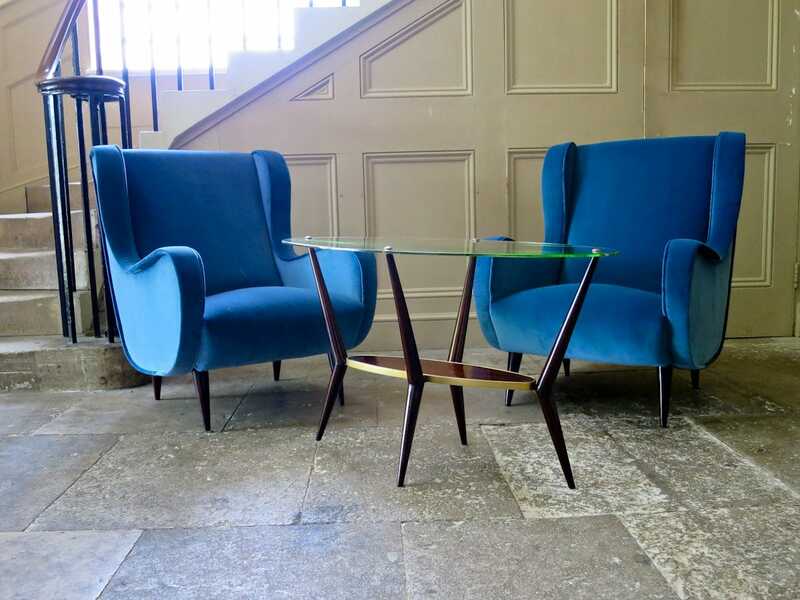 A beautiful pair of Italian design armchairs, very much in the style of Marco Zanuso from the 1950’s. 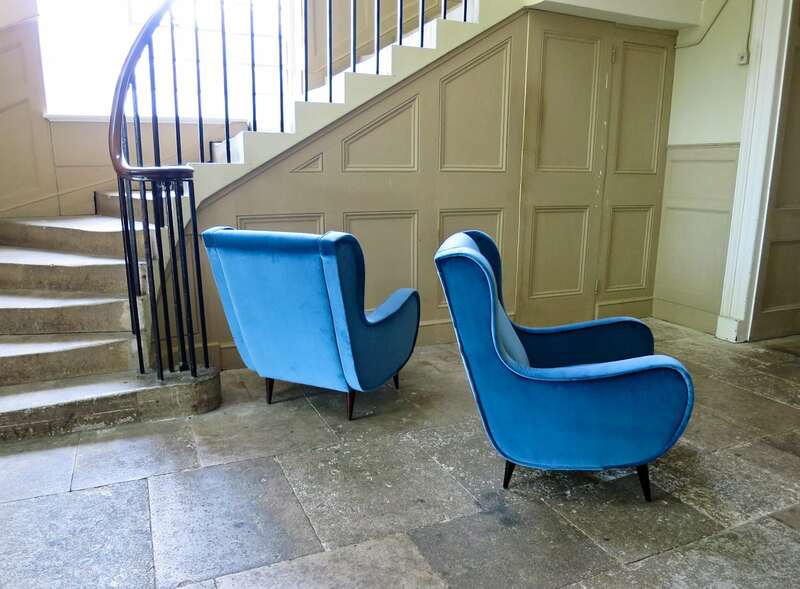 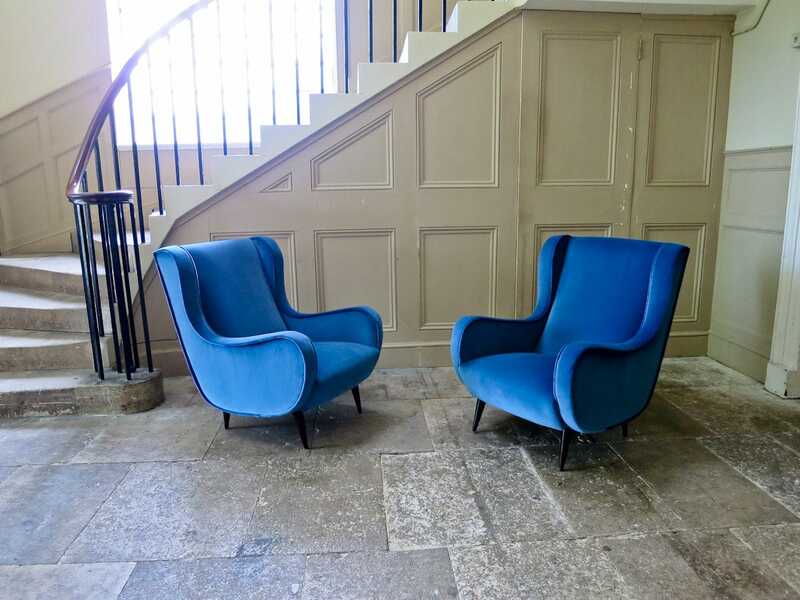 Re upholstered in a beautiful rich blue velvet these elegant armchairs would look great in any interior.